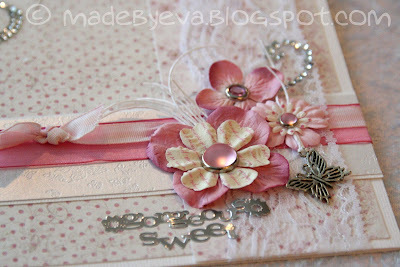 Made by Eva: Gorgeous & sweet! Gorgeous and sweet - great words to describe these wonderful papers from Maja Design! I've tried to make more cards that works with several occations lately. 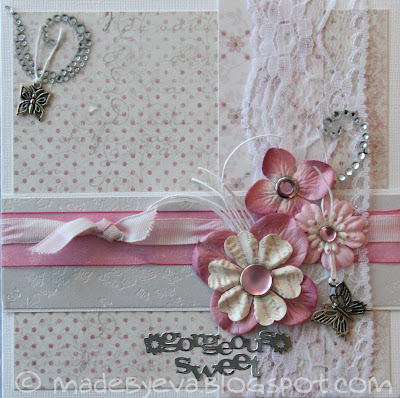 This one could be a card (birthday or other occation) for a young girl or a woman who's not afraid of girly pink - or it could be given for a newborn baby girl, or even as a christening card. Take your pick!